Our 2019 Winter Essentials Guide us now out. Click to download. 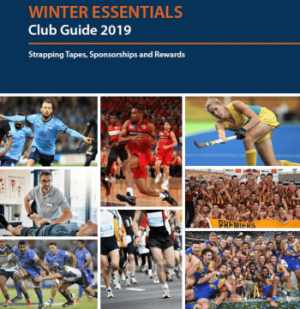 Inside you will find what rewards are on offer for your club in 2019 when using APE Medical for your taping and first aid supplies. You can take advantage of APE Rewards + Brand Rewards + Rebates by using APE Medical this season. We supply all brands to suit all budgets and can often work together with other sponsorship arrangements your club may already have. Our team at APE is made up of sports physios and athletes who all know a thing or two about club requirements. If you need help with anything just get in touch.